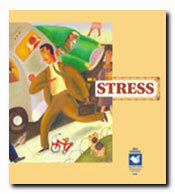 Stress management training made easy. A valuable resource for families and professionals in all markets and industries. Includes useful information on how stress affects the body, and offers stress reduction techniques as well as tips for managing stress in specific situations.